The local offer provides useful information for children and young people with special educational needs and disabilities (SEND) and their families. It provides help to families, individuals, groups and organisations to find information so they have more choice and control over what support is right. support and services in the voluntary and private sector across North Yorkshire. making the transition from services provided for children to those for adults. What kinds of SEN are provided for in your school? Special educational provision is educational provision that is additional to or different from that made generally for others of the same age. This means provision that goes beyond the differentiated approaches and learning arrangements normally provided as part of high quality, personalised teaching. It may take the form of additional support from within the setting or require the involvement of specialist staff or support services. All Ebor Academy Trust schools have a similar approach to meeting the needs of pupils with Special Educational Needs and are supported by the local authority (LA) to ensure that all pupils, regardless of their specific needs, make the best possible progress in school. All schools are supported to be as inclusive as possible, with the needs of pupils with Special Educational Needs and Disabilities being met in a mainstream setting wherever possible. At Filey CE Nursery and Infants Academy, there is a continuous cycle of planning, teaching and assessment within our broad, balanced and enriched curriculum which is accessible to all and promotes inclusion. In order to support children who have special educational needs and/or disabilities and for supporting children who are looked after by the local authority, the school has adopted a graduated response that recognises a continuum of need in accordance with the DFES Code of Practice, 2015. What is the SENDCo’s name and how can I contact them? The named SENDCo for our school is Mrs Julie George. Mrs George holds the National Award for SEN (NASENCo award) and can be contacted on the school telephone number: 01723 513077 or via email: admin@fi.ebor.academy. What policies do you have for identifying children and young people with SEN? How do you assess their needs? Every member of staff at Filey CE Nursery and Infants Academy is working towards the achievement of every child through excellent quality first teaching. We have a clear approach to identifying and responding to SEN. The benefits of early identification and effective provision improves long-term outcomes for our children. This is part of our Universal provision. If any child is struggling in any aspect of school life for any reason, strategies and/or interventions will be put in place as part of our Additional provision. This provision would be discussed with parents/carers and their views along with the views of the child would be sought. The progress would be tracked and the impact would be discussed with parents/carers with next steps identified. If a child continues to need additional support we would look at more Personalised provision and seek advice and support from outside agencies. •Making changes to the way your child is supported in class e.g. some individual support or changing some aspects of teaching to support them better. •Support to reach appropriate outcomes which will include their specific expertise and work towards the ambitions of the young person. 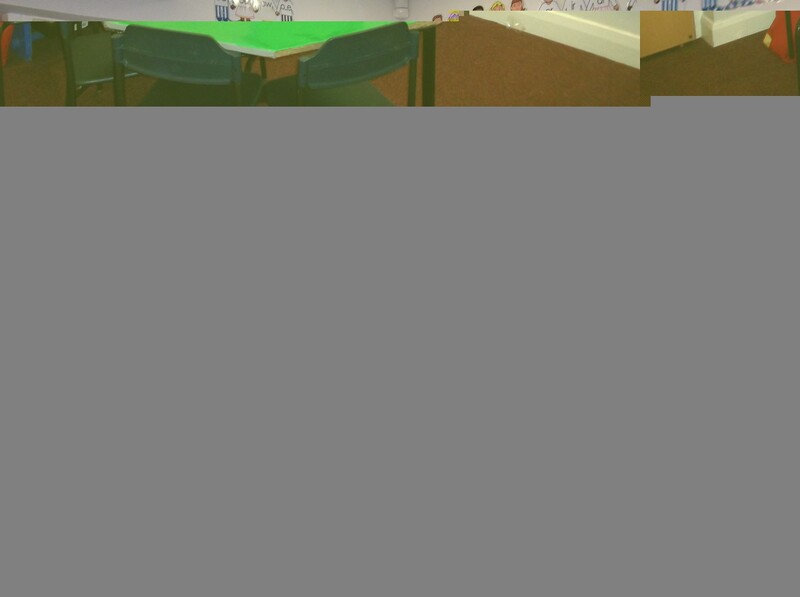 •A group run by school staff under the guidance of the outside professional e.g. Social Singing. •The school may suggest that a child needs some agreed individual support in school. They will offer advice about how the support will be used and what strategies will be put in place. This may include a modified curriculum for some children. All provision, whether additional or personalised will be recorded on a Provision Plan. If a child is in one of our Early Years classes an Individual Learning Provision Plan (ILPP) will be compiled with parents/carers which describes the child’s individual strengths and needs and the type of support that they will need to help them make progress. 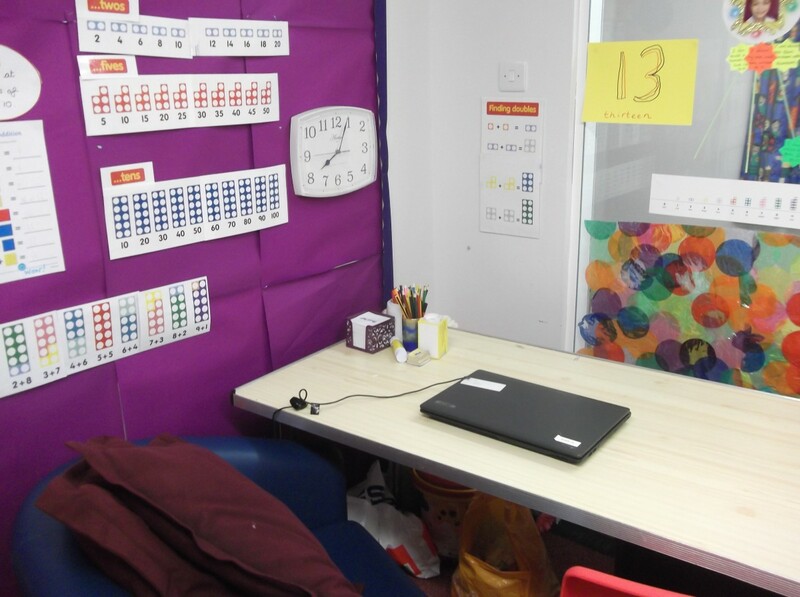 In Key Stage 1, an Individual Provision Map (IPM) or an Individual Behaviour Plans (IBP) will be used for children who are receiving additional support with their learning or emotional/behavioural needs. This will be designed around a child’s individual needs and will include strategies to support the child in class, during interventions and sometimes at home. Clear steps to success are identified so the parents, child, teachers and support staff are all clear about desired outcomes. It will also include the date when the child’s progress will be reviewed. If a child has been identified by their class teacher and SENDCo as needing a particularly high level of individual support, the school (or the parent) can request that the Local Authority carry out a statutory assessment of the child’s needs. This is a legal process, which sets out the amount of support that will be provided for the child. •We would meet together to complete a Comprehensive Assessment of Needs (CAN-DO) and Education Health and Care Plan Request (EHCAR) which is paperwork used to assess the individual level of need. It is designed to be a process, which keeps children at the centre of the assessment and involves parents and all agencies working with the child. •After the school have sent in the request to the Local Authority (LA), the LA will decide whether they think the child’s needs (as described in the paperwork provided), seem complex enough to need a statutory assessment. If this is the case, they will write an Education and Health Care Plan (EHC Plan). •The EHC Plan will outline the number of hours of individual/small group support the child will receive from the LA and how the support should be used and what strategies must be put in place. It will also have long and short-term goals for the child. •The additional adult may be used to support the child with whole class learning, run individual programmes or run small groups including the child. The child will remain a part of the class, under the direct responsibility of the class teacher. •This type of support is available for children whose learning needs are severe, complex and lifelong. If a child’s needs are complex or severe, we may suggest that we ask the Local Authority for a Statutory Assessment which usually means that the LA provide extra resources to help the child. If a child has this additional provision, this will lead to them having an EHCP (Education Health and Care Plan) which parents will be involved in writing alongside the class teacher, SENDCO and other professionals involved with the child. What arrangements do you have in place? What arrangements do you have for consulting with parents of children with SEN and involving them in their child’s education? All provision plans are discussed and produced with the child, parents, class-teacher and SENDCo. Once in agreement the plan is signed and implemented. Plans are evaluated regularly by the class-teacher and amended if necessary. • contact with the class teacher before or after school. • School arranged review meetings, or meetings requested between parents and staff through the school office. What arrangements do you have in place in your school to consult with young people with SEN and how do you involve them in their education? At Filey CE Nursery and Infants Academy all children are equally valued in school and access an environment where they can flourish and feel safe. We have a whole school team committed to inclusion who ensure that all pupils are happy, safe and achieving at school both academically and emotionally. We listen to children’s views in order to ensure provision within school supports their views and aspirations. Each child’s views are recorded on entry to and on exit of all interventions as ‘pupil’s voice’. Should outside agency support be requested through the new EHCAR and Single Point of Access (SPA) referral, the pupil’s voice is recorded on the application form to ensure the child’s views are taken into consideration. What arrangements are in place for assessing and reviewing children and young people’s progress towards outcomes? Regular, on-going assessments provide class teachers and teaching assistants with day-to-day successes and next steps. PIVAT and SCERT’s assessments can be used to show smaller steps of progress for children who make less progress than their peers. In-school tracking systems are used to identify children not making the expected progress or who are working below national expectations. These children are discussed at pupil progress meetings which are held termly and as a result of these discussions they may receive an intervention. All children at Filey CE Nursery and Infants Academy receiving additional or different provision will then have documents in place that are jointly written by parents, the child and professionals. Depending on the level of need this may be called a ‘Condensed My Support Plan’, a ‘Full My Support Plan’ or an ‘Education Health Care Plan (EHCP).’ An EHCP is a statutory document that is written alongside the SEN Panel at the Local Authority. The Plan will follow the child as they move on to their chosen Junior School. All children receiving support which is additional or different from universal provision will also have an Individual Learning Provision Plan, Individual Provision Map, or an Individual Behaviour Map. Attainment of all children is reviewed by the Senior Leadership Team every term at which time provision may be adjusted and put in place to meet identified needs. Further information about each individual intervention will be discussed with parents/carers if a child was to access them. What are the arrangements for supporting children and young people in moving between phases of education and in preparing for adulthood? Transition reviews for children with SEND are organised before moving schools. Staff from the receiving school are invited to transition reviews. If they are unable to attend, the SENDCo will contact the child’s new school with the relevant information. Transition visits are arranged for pupils moving to another Primary school. Additional visits can be arranged should these benefit your child. Year Three teaching staff and the SENDCo from Filey Junior School visit our school throughout the year and spend time with the children during the Summer term as part of the transition process. What is your School’s approach to teaching children and young people with SEN? All children at our school have access to Quality First Teaching which includes personalised, targeted support. If a child requires further support they are added on to an additional provision overview for their year group. These are updated regularly (at least termly) depending on the duration of the intervention or support and the impact this has on the child. If a child is being considered for extra support, parents/carers will be informed of this by the child’s class-teacher. Teaching assistants support class teachers, enabling more target group work throughout the day. This support is evidenced on each class teacher’s planning and aims to support groups across the ability range, therefore encouraging growing independence within lessons. An Individual Learning Provision Plan (ILPP), Individual Provision Map (IPM) or an Individual Behaviour Plans (IBP) will be used for children who are receiving additional support. This will be designed around your child’s individual needs and the intervention will be delivered by a fully trained, experienced teaching assistant or specialist teacher. At all times class teachers are responsible and accountable for the progress and development of all their pupils. What sort of adaptations are made to the curriculum and the learning environment of children and young people with SEN? The school’s Christian values of Friendship, Compassion and Community, are reflected across all areas of Filey CE Nursery and Infants Academy. Our school has quality first teaching and differentiated lessons which cater to the need of every child. Interventions are identified on additional provision overviews and each child’s IPM/IBP. They have clear objectives and outcomes and focus on accelerating pupil progress. These are shared with the child’s parents. Interventions are delivered by fully trained teaching assistants and monitored closely by the class teacher and SENDCo. Regular discussions ensure that skills are reinforced/transferred back into the classroom and built upon. Regular assessments and close monitoring, enables staff and pupils to evaluate the effectiveness of interventions. Health Care Plans and risk assessments are implemented for children who have a high level of need in discussion with parents and relevant professionals. What sort of expertise for supporting children and young people with SEN do you currently have in school? How do you ensure that the expertise and training of staff to support children and young people with SEN is current? How do you access and secure further specialist expertise? All staff receive regular training to enable them to meet a range of SEND. Teachers and teaching assistants have regular Continuous Professional Development (CPD) training to meet individual needs as necessary. If a pupil has particular needs and the school has exhausted its repertoire, specialist support is sought promptly from relevant professionals. The school SENDCo attends all SENDCo network meetings, both with EBOR and with the Local Authority to ensure that our practice is up to date and any new information is shared with all staff in school and staff across the Academy. How do you evaluate the effectiveness of the provision made for children and young people with SEN? 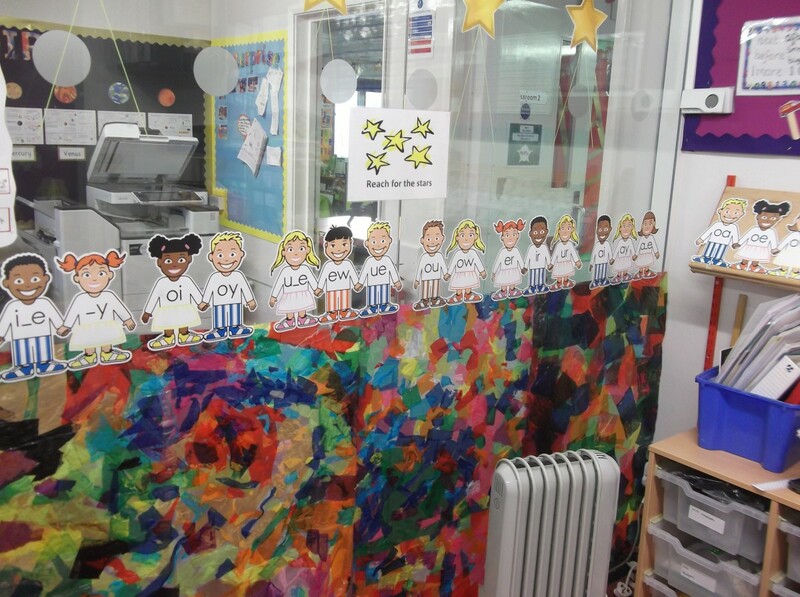 The progress and attainment of all children is carefully monitored and reported to parents. If a child is provided with any additional and different provision, we carefully monitor the impact by a variety of methods such as; measuring how the intervention accelerated progress over a given period of time. During the planning meeting with parents and, where possible, the child, the teacher will explain what the expected impact will be by the time the intervention is reviewed and how this will be measured. Our school uses Individual Provision Maps (IPMs) to capture this information, which are written during the first meeting between the parent and the class teacher/SENDCo. This meeting is often described as a ‘learning conversation’. The school evaluates the impact of all interventions and whether they have a strong evidence base of effectiveness. Other universal provision, for example, provision regularly used in-class is evaluated regularly by the Senior Leadership Team. How are children and young people with SEN enabled to engage in activities available with children and young people in the school who do not have SEN? All children at our school are equally valued and access an environment where they can flourish and feel safe. All children are fully included in all aspects of school life. All children are welcome to join in all extra-curricular activities with support being made available if required. How do you support children and young people with SEN to improve their emotional and social development? At Filey CE Nursery and Infants Academy we take emotional support for the children extremely seriously. SEAL, nurture groups and ELSA groups are available. Our provision is regularly reviewed, evaluated and, if necessary improved. Although, from time to time, children may need a high level of individual support, our aim is always to help children to be more independent in lessons. This may be supported by the use of visual timetables, individual visual timetables, prompt boards, peer support and/or mentors. All classrooms have an interactive Emotional Scale for children to use. How does the School involve other bodies, including health and social care bodies, local authority support services and voluntary sector organisations, in meeting children and young people’s SEN and supporting their families? EMS schools for Speech, Language and Communication, Social, Emotional and Mental Health difficulties and Specific Learning Difficulties. School would only contact an outside agency after consultation with parents. We will take the advice and implement it in order to meet the individual needs of our children and will provide the resources required to develop understanding and learning for particular children’s needs. 6.28 Children and young people with speech, language and communication needs (SLCN) have difficulty in communicating with others. This may be because they have difficulty saying what they want to, understanding what is being said to them or they do not understand or use social rules of communication. The profile for every child with SLCN is different and their needs may change over time. They may have difficulty with one, some or all of the different aspects of speech, language or social communication at different times of their lives. 6.29 Children and young people with ASD, including Asperger’s Syndrome and Autism, are likely to have particular difficulties with social interaction. They may also experience difficulties with language, communication and imagination, which can impact on how they relate to others. 6.30 Support for learning difficulties may be required when children and young people learn at a slower pace than their peers, even with appropriate differentiation. Learning difficulties cover a wide range of needs, including moderate learning difficulties (MLD), severe learning difficulties (SLD), where children are likely to need support in all areas of the curriculum and associated difficulties with mobility and communication, through to profound and multiple learning difficulties (PMLD), where 98 children are likely to have severe and complex learning difficulties as well as a physical disability or sensory impairment. 6.31 Specific learning difficulties (SpLD), affect one or more specific aspects of learning. This encompasses a range of conditions such as dyslexia, dyscalculia and dyspraxia. 6.32 Children and young people may experience a wide range of social and emotional difficulties which manifest themselves in many ways. These may include becoming withdrawn or isolated, as well as displaying challenging, disruptive or disturbing behaviour. These behaviours may reflect underlying mental health difficulties such as anxiety or depression, self-harming, substance misuse, eating disorders or physical symptoms that are medically unexplained. Other children and young people may have disorders such as attention deficit disorder, attention deficit hyperactive disorder or attachment disorder. 6.33 Schools and colleges should have clear processes to support children and young people, including how they will manage the effect of any disruptive behaviour so it does not adversely affect other pupils. The Department for Education publishes guidance on managing pupils’ mental health and behaviour difficulties in schools – see the References section under Chapter 6 for a link. What are the arrangements for handling complaints from parents of children with SEN about the provision made at the school. Should parents of children with SEN have any complaints about the SEN provision they should follow the school’s general complaints procedure. It is always best to approach the class-teacher or the Headteacher first, to see if your concerns can be immediately addressed. If you still feel that your view has not been listened to or answered to your satisfaction you can make a formal complaint by writing to the chair of governors at the school. Mrs D. Crosier – Headteacher / Deputy Designated Lead Person for Child Protection. Mrs C.Wilson – Chair of Governors. Mrs A Clark – Deputy Headteacher / Designated Lead Person for Child Protection. Mrs J George – SENDCo / LAC / Deputy Designated Lead Person for Child Protection. A parent partnership coordinator can be contacted through North Yorkshire’s education offices or on 01609 536923. The parent partnership coordinators offer impartial advice and support which could include making a home visit to listen to any concerns families may have, or attending meetings with them. They can also be able to put families in touch with other organisations or parent support groups. The Parent Partnership Service will work closely with independent supporters locally commissioned by the Council for Disabled Children to provide advice and support for parents of children and young people with special educational needs through the statutory assessment and Education, Health and Care Plan processes. The SEND information, advice and support service (SENDIASS) provides free and impartial information, advice and support for children, young people and young adults (up to 25 year old) with special educational needs and / or disabilities as well as their parents or carers.